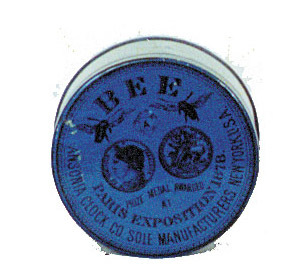 Ansonia Clock Co. Blue tin can for the "Bee" clock. Ansonia Clock Co. Blue tin can for the "Bee" clock. Tin only, near mint condition.